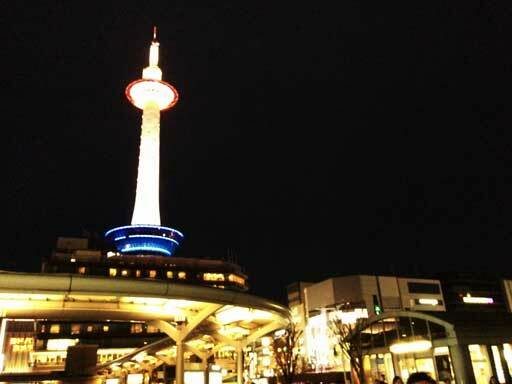 Do you know Kyoto Tower? Yes? Then, Do you know what the tower symbolizes? Even some citizens of Kyoto misunderstand it, and answer like this. ‘Well, it is a traditional Japanese candle, isn’t it? It is so tasteful.’ It is true that the tower resembles a candle, but actually, it symbolizes a lighthouse. 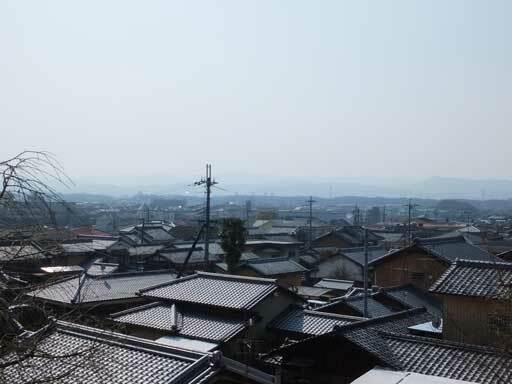 The city of Kyoto is surrounded by the mountains and you can’t see the sea from there, so roofs in the city was likened to waves on the sea, and the tower, a lighthouse. Speaking of roofs, you can find Shoki-san on roofs in Kyoto. They are guardian deities who drive away evil spirits. Some Shoki-san have funny faces, but they are stronger than bad demons. Here is a folklore. 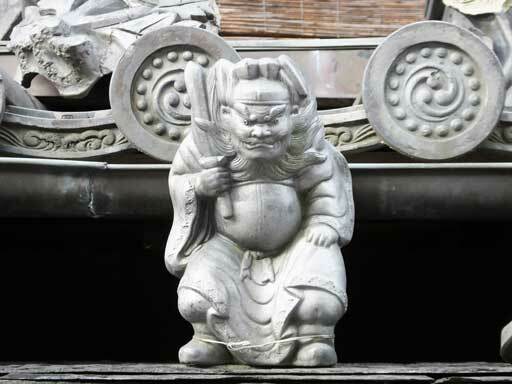 In the Edo Period (1603-1868), a new pharmacy was built on Sanjo Street in Kyoto, with an ornament depicting a demon on its roof. Then a woman living in front of the pharmacy got sick because of an evil spirit that bounced off the demon. However, her illness went away soon after the placement of Shoki-san on the roof of her house. 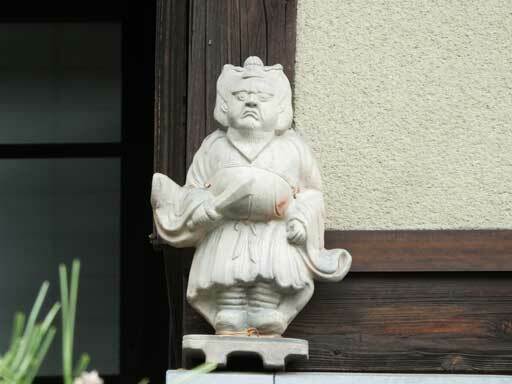 Since then people have placed Shoki-san on their roofs if the houses in front have demon ornaments. Recently, there has been less and less old houses, and the number of traditional Japanese tiled roofs and Shoki-san decreased. However, they still exist and you can feel traditional Kyoto through them. It is fun to try seeing the roofs as waves, or just look for Shoki-san, so look up when you walk around the city of Kyoto.